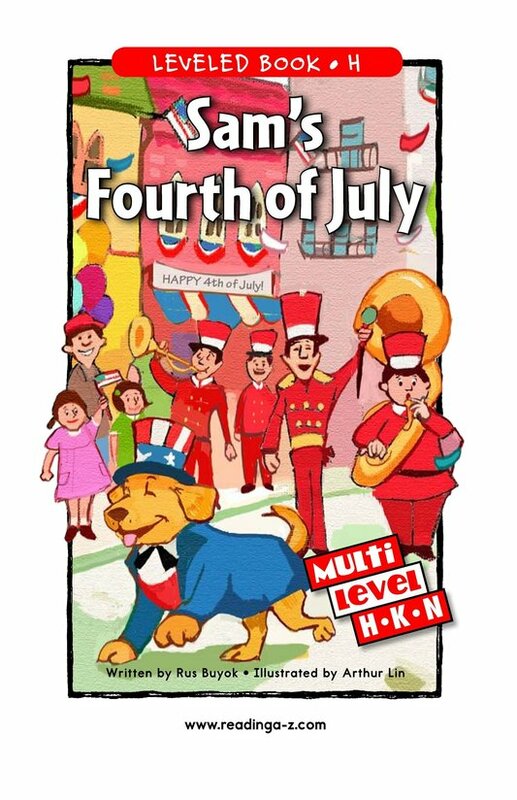 Holidays are beloved days that light up the year for children. 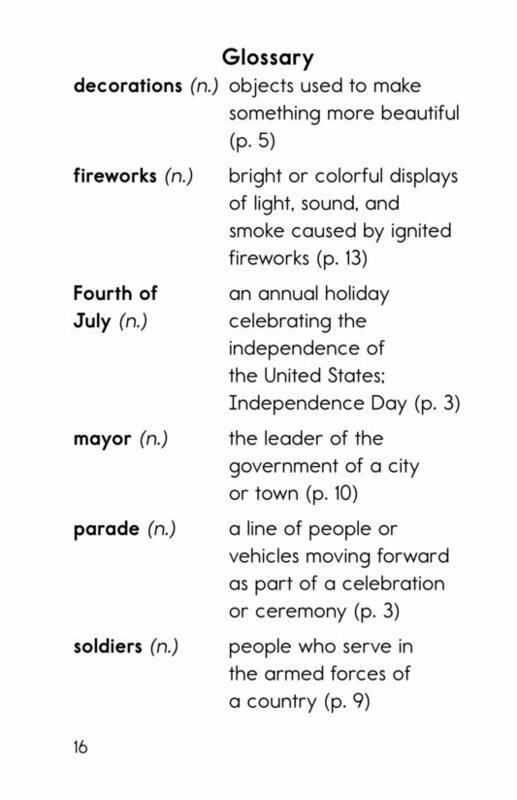 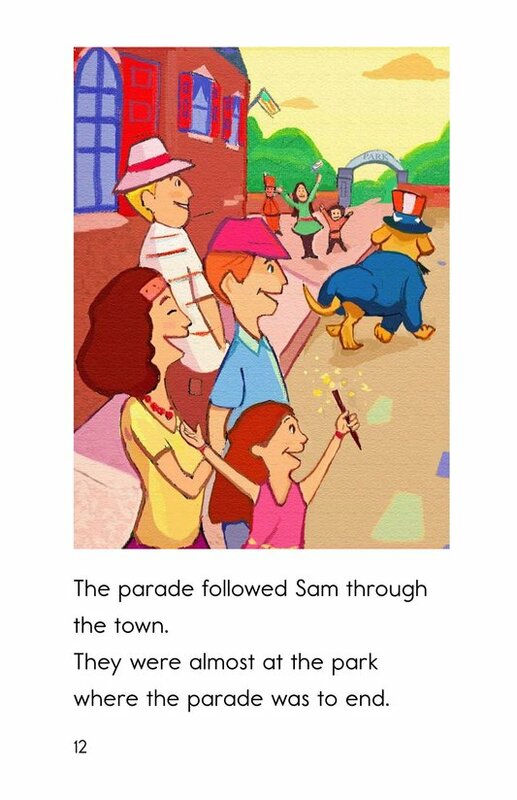 Sam's Fourth of July features one of the United States' brighter holidays, the Fourth of July, complete with fireworks, parades, and music. 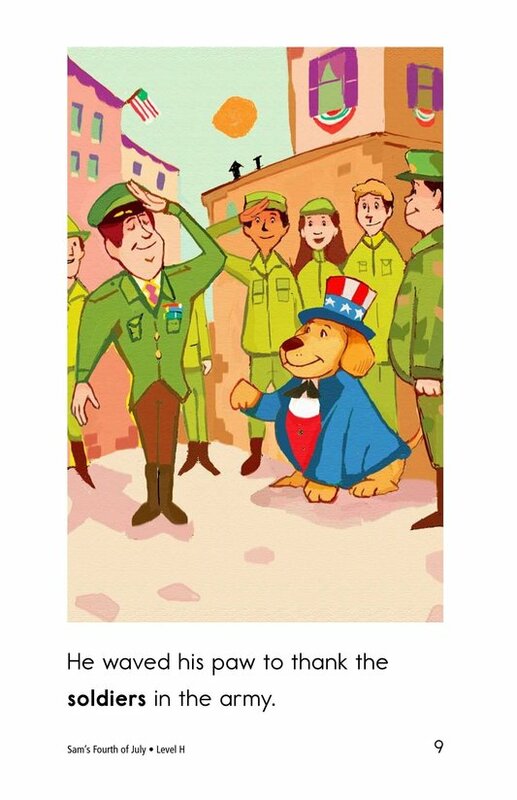 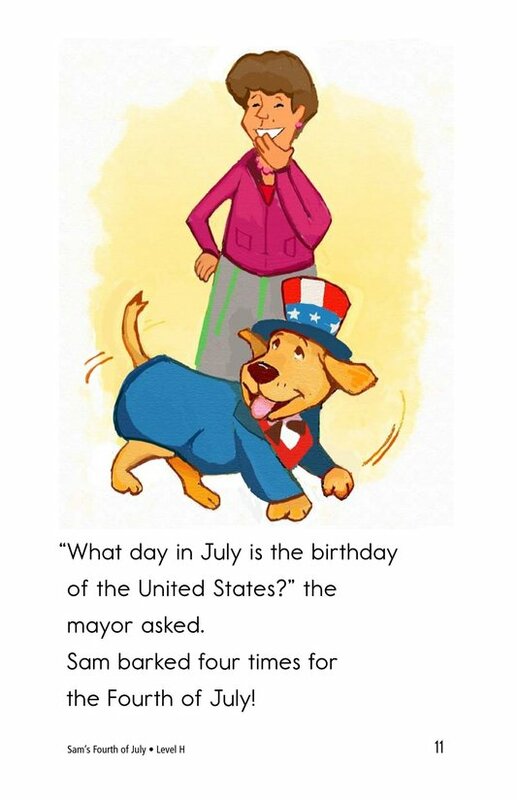 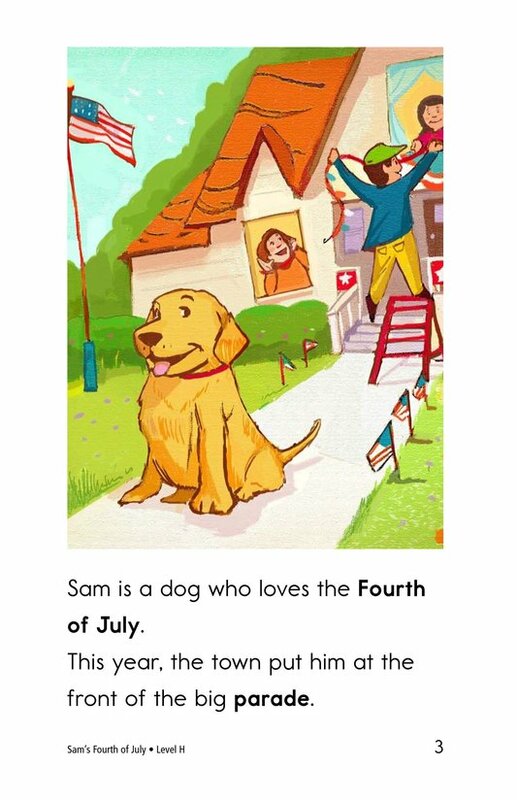 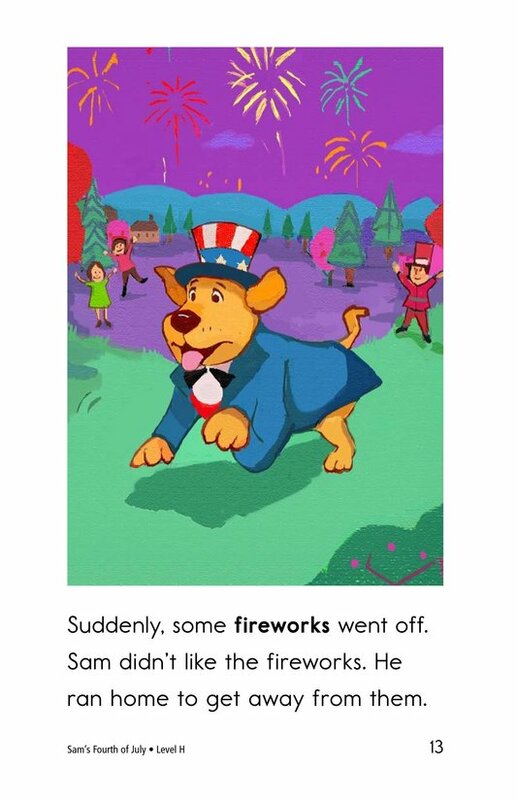 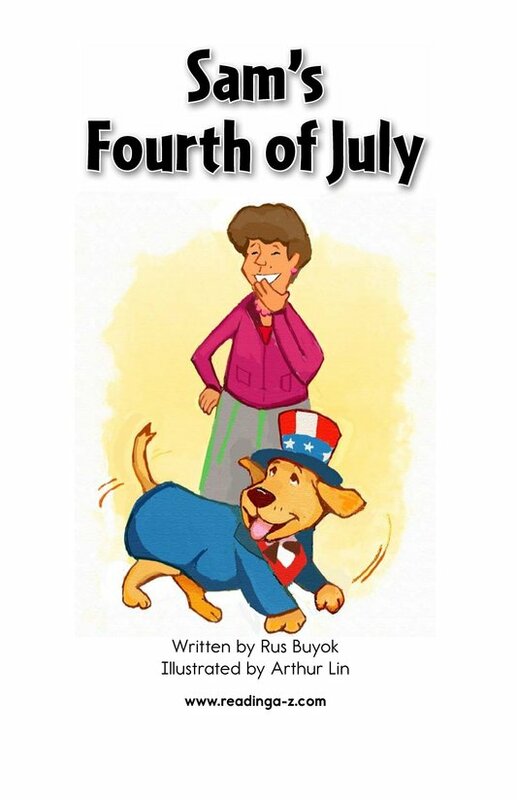 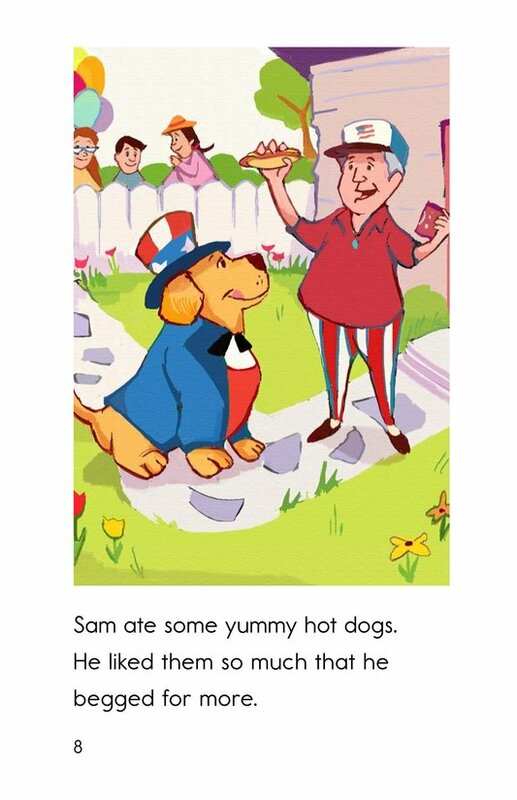 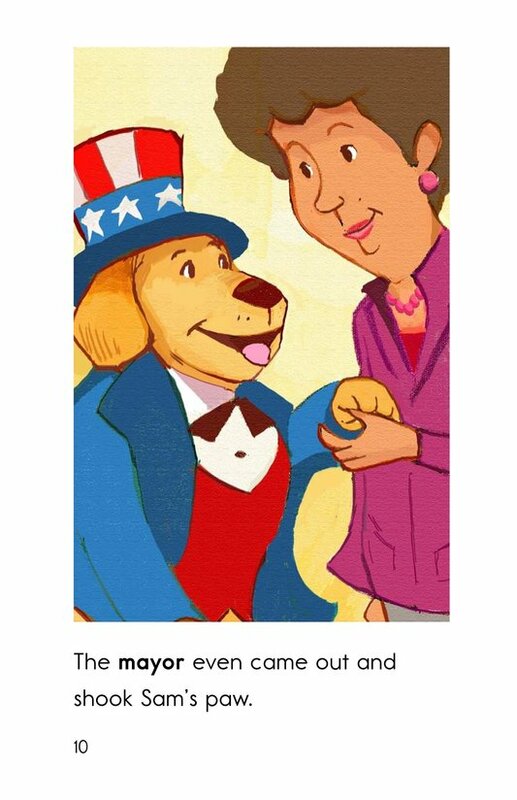 In this story, Sam is a dog who loves the Fourth of July. 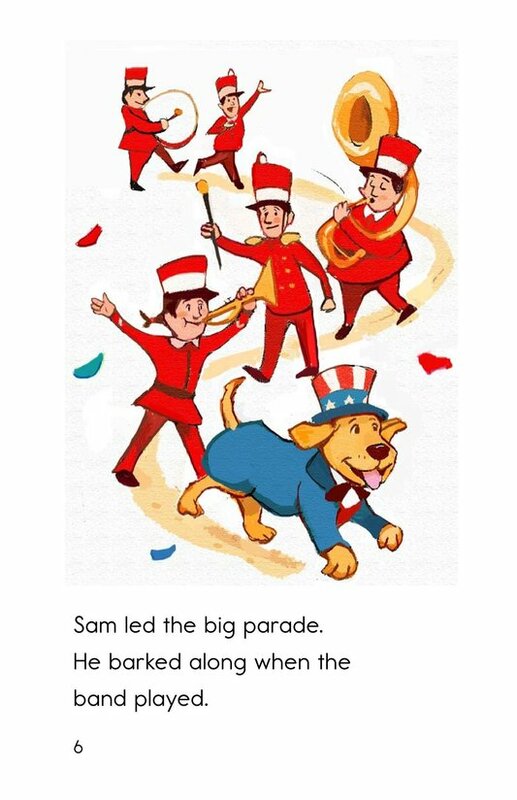 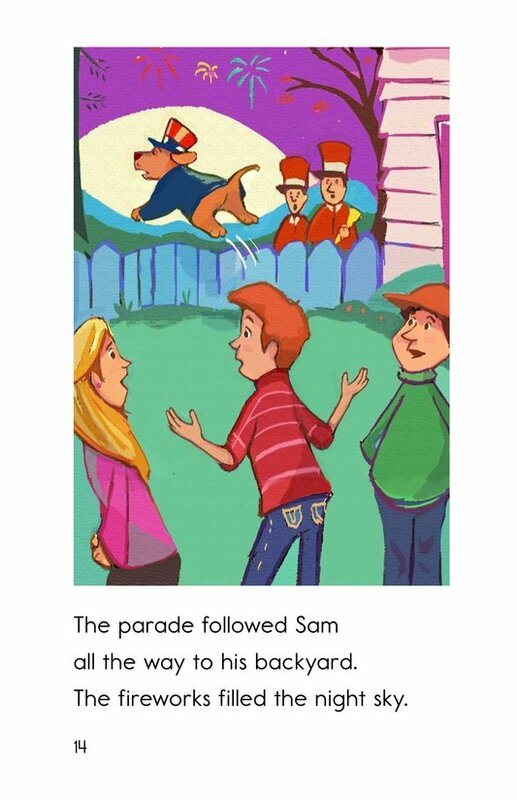 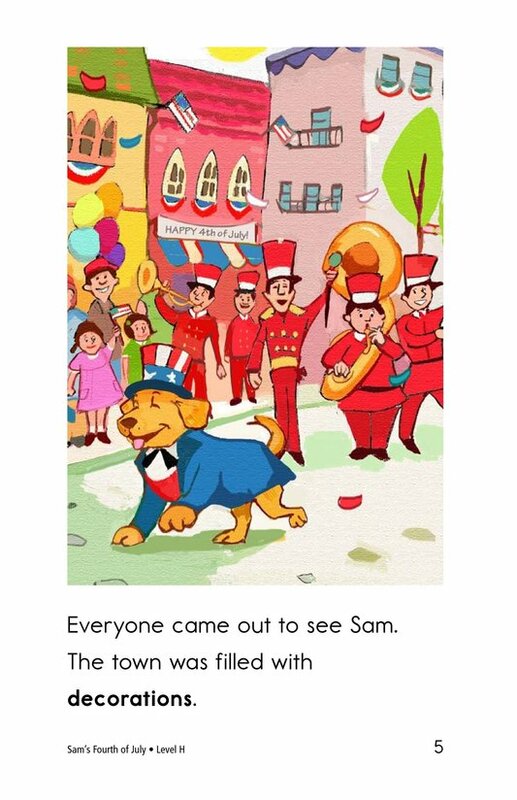 The town decides to make Sam the leader of the parade, and he loves every minute of it . 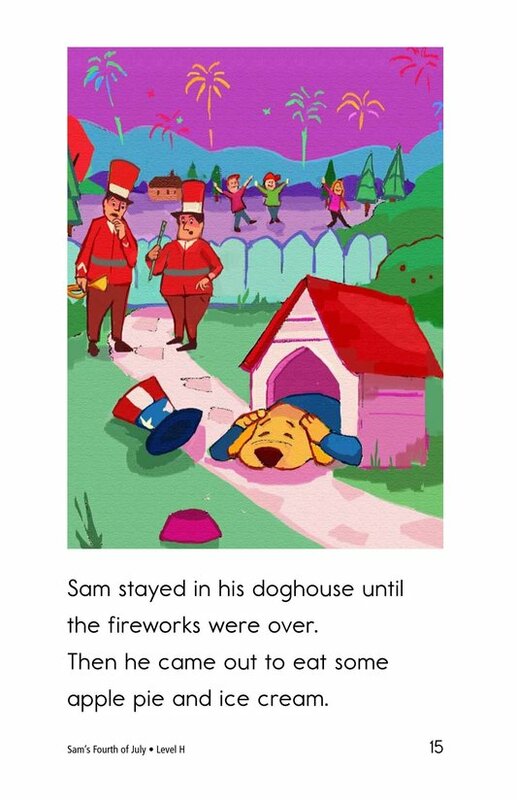 . . until the loud fireworks begin. 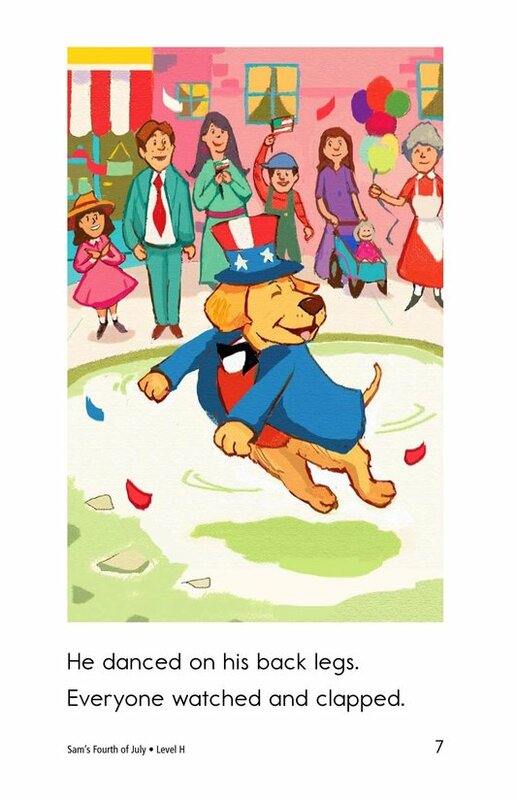 What's a dog to do? 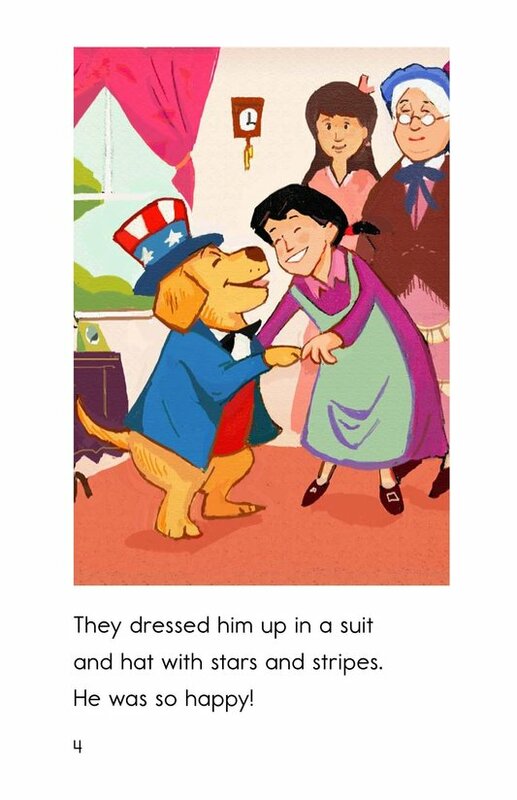 Use this inviting story, coupled with cute illustrations, to teach students how to retell, sequence events, and use simple sentences.